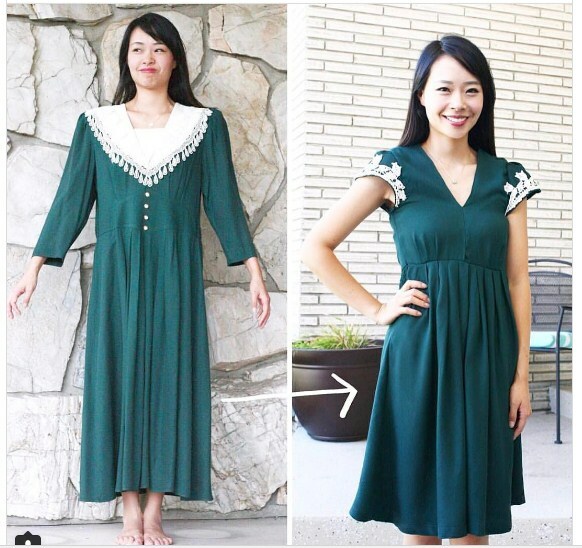 When you know how to sew a single piece of clothing it is not for throwing. Mother of three children uses vintage pieces of clothing to create a modern combinations for herselves and her two daughters. 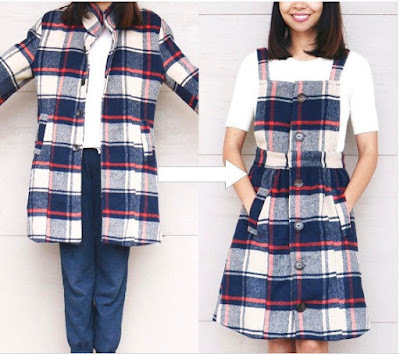 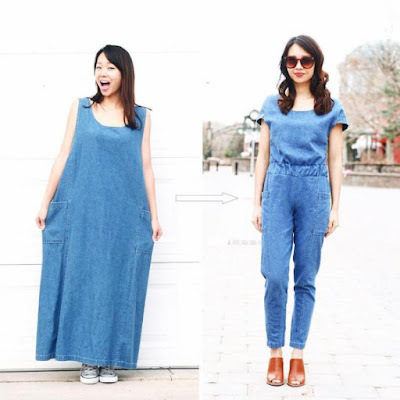 Sarah Thaya daily attracts fans of Instagram and YouTube, thanks to her tutorials and ideas for turning old clothes into modern. 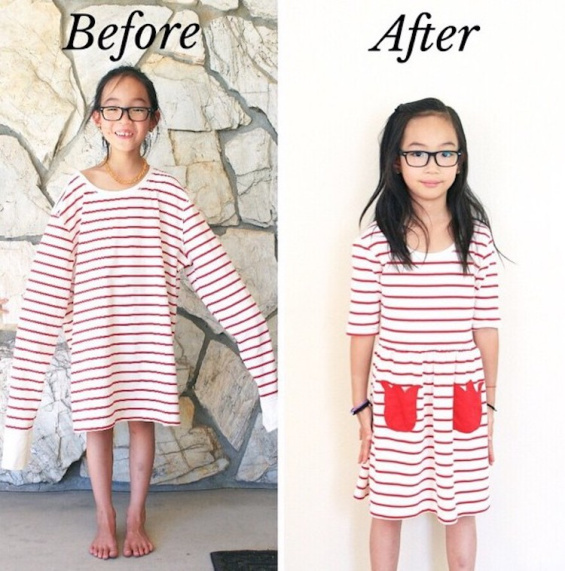 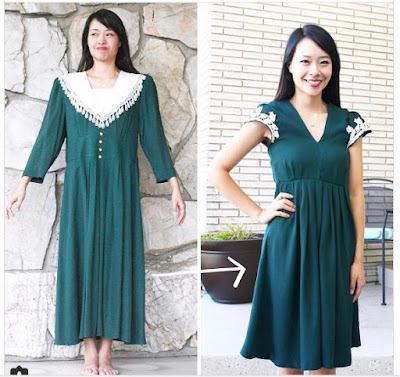 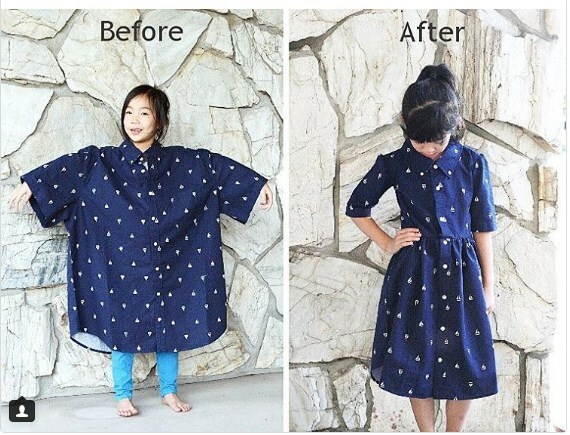 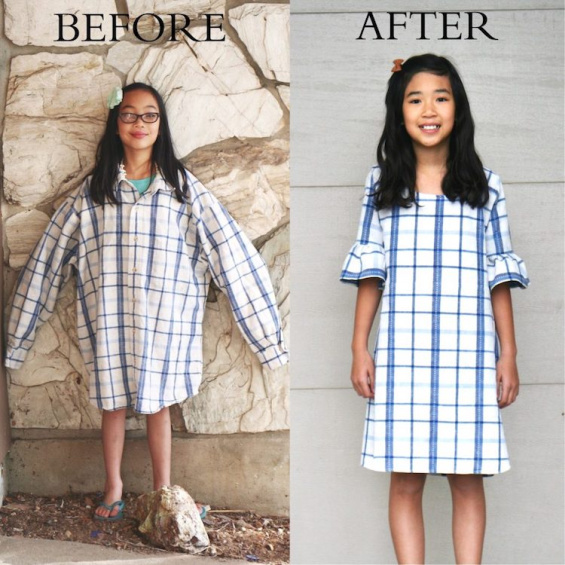 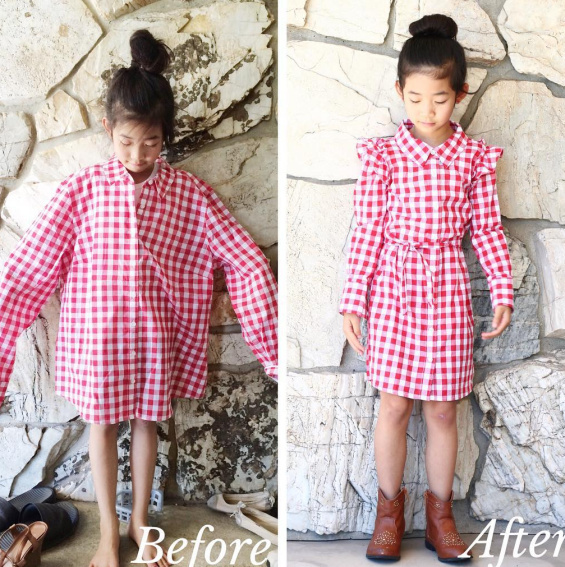 Talented seamstress turns men's shirts in interesting dresses, overalls dresses, skirts tops ... for herselves and her two daughters. 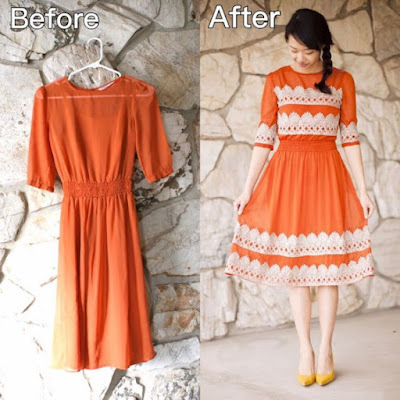 Sometimes, she painted worn clothes in other colors.